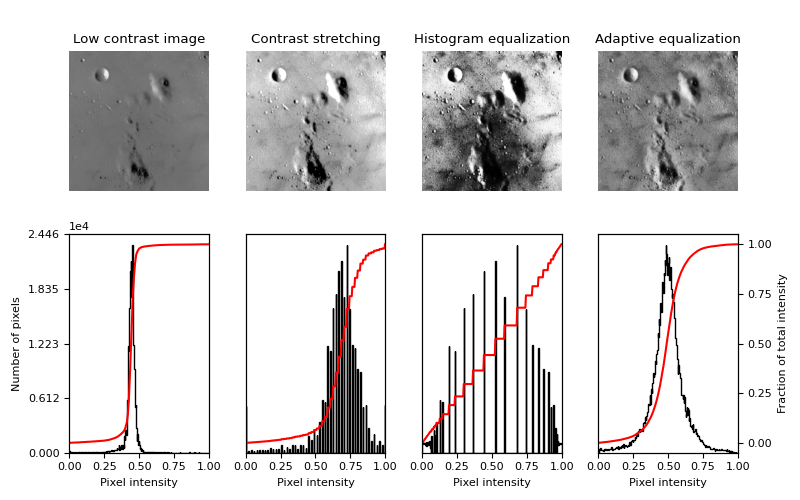 This examples enhances an image with low contrast, using a method called histogram equalization, which “spreads out the most frequent intensity values” in an image 1. The equalized image has a roughly linear cumulative distribution function. While histogram equalization has the advantage that it requires no parameters, it sometimes yields unnatural looking images. An alternative method is contrast stretching, where the image is rescaled to include all intensities that fall within the 2nd and 98th percentiles 2.